Sholem’s Wellbeing Centre opened its doors in 2008 and has been created with the needs of the “whole person” in mind. Our children are all unique; each from different families, different backgrounds and different life circumstances. Despite the range of differences that exist, one constant we recognise and prioritise is each child’s need and right to feel valued and supported. All too often our children find themselves under pressure, especially when suffering the strains of learning challenges, health problems, family issues and social concerns, to name but a few. All too often, these obstacles can get in the way of our children’s capacity to attend to their learning because, understandably, their feelings and thoughts are elsewhere. We are pleased to be in a position to have a support person available to help children, staff and parents better manage times of difficulty, stress and concern. The Wellbeing Centre is funded by The National School Chaplaincy and Student Welfare Program- NSCSWP. Our Wellbeing Centre Coordinator provides: support to the Principal and staff in guiding students through moral and ethical dilemmas, develops programs on resilience, provides strategies for anger management and bullying, assists children who have relocated, answers questions about other faiths and assists students with exploring their lives as secular Jews in a wider spiritual context. The Coordinator is also available to the wider school community in times of confusion or grief. At Sholem we value and prioritise the wellbeing of our students, staff and parents. 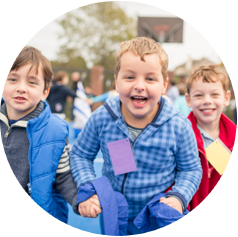 We are committed to supporting and developing the “whole child” and therefore each child’s physical, emotional and social wellbeing is a focus. To this end, our staff foster an atmosphere of genuine care for our students, parents and for each other. We aim to ensure that our children are socially, spiritually and ethically aware, and are contributing, fulfilled members of the local and global community. They are dealing with issues ranging from global conflicts to community concerns to individual issues. Our student body, as all young people of today, struggle with the demands of understanding who they are, dealing with conflict from within and issues concerning human relationships. 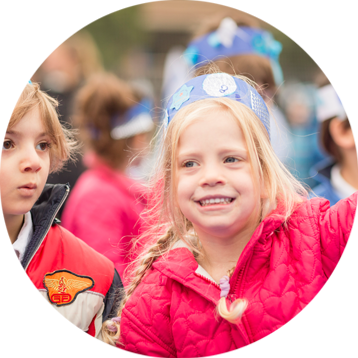 Our school prides itself on its capacity and desire to deliver education to children in a way that captures their hearts and minds, and considers their overall wellbeing, including their spiritual wellbeing.